Individual Voluntary Arrangements (IVA) is part of the Insolvency Act 1986 and is often an alternative to bankruptcy. An IVA is an agreement between you and your creditors to repay a debt incurred by yourself over an agreed time frame. The agreement is drafted by a licenced insolvency practitioner instructed on your behalf. This document is then verified by the Court and sent to your creditor. The IVA is a clever way of dealing with the social stigma that often comes with the term ‘bankruptcy’ and all information is kept private amongst your creditors and not released into the public domain meaning you can still uphold your reputation. The other advantage of an IVA is that your creditor cannot change the original agreement set out in the IVA even if they later change their minds further down the line. In addition, interest is frozen throughout the IVA and up to 75% of your total debt is written off once the agreement is concluded. You are debt free after the IVA agreement is concluded. At Bloomsbury Law, we have the best team to solve all your financial problems. We always advise our clients to confront debt matters head on and we have years of experience in dealing with complex debt management cases. Our specialist debt advisors are experts in their field and deal with all clients in a confidential and considerate manner. We always analyse each case carefully and put the client in the best financial situation possible with all the options explored. We understand an Individual Voluntary Arrangement can be a life changing event, but please note it is of the upmost importance to contact a specialist to receive expert advice. 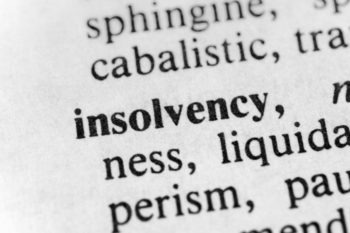 Our insolvency have years of experience dealing in IVAs, so call us with confidence.